WordPress is undoubtedly the best and the most popular content management platform globally. The majority of website owners use this robust platform to build their websites because it offers ultimate flexibility that makes it different from the rest. This powerful software allows you to create a simple personal weblog and even, the highly-customized websites. This is due to the availability of numerous WordPress themes and plug-ins that enable you to customize your blog according to your specific requirements. There are thousands of themes and plug-ins available online that allow users to change the look and feel of their WordPress empowered websites without any hassle. However, even with the presence of so many themes, it is hard to find the theme that does not require modification. Even, if you find the one that suits your needs, you still have to modify your theme in such a way that it looks a lot more unique and different in design and features from others out there. In order to get the satisfactory result, you need to hire WordPress expert, who is abreast with the current changes in trends and has in-depth knowledge of programming skills that ensure complete satisfaction. WordPress professional offers you something absolutely exclusive to give your online business a cutting-edge. Hiring a dedicated developer eliminates all your worries of an appealing yet affordable website and prevents you from wasting time in dealing with amateurs. If you are looking for WordPress expert for your ongoing project, but do not have any idea from where to start. Here is the solution for you. We have brought together some of the best WordPress service providers that are popular for providing incredible solutions across the globe. These are some dedicated wordpress service providers who specialize in wordpress related skills. These providers may be able to provide you a unique premium quality job done in reasonable budget. If you are looking for low cost options, you may want to jump down to our freelance sites list for wordpress professionals. If you are looking for wordpress fulltime experts, this a best place to post your job requirements. The types of jobs you can post can relate to any type of help for wordpress related activities including installation, administration, plugin development, article writing and more. 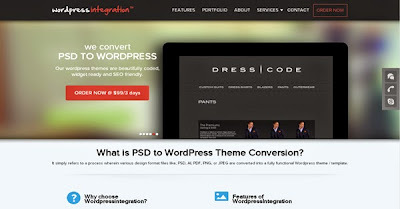 WordPressIntegration is a renowned for creating diverse WordPress themes at affordable prices. Also, they ensure on-time delivery of projects through complete transparency. “WOO Jobs” offers you the WordPress developers that can help you modify an existing theme or create a new theme or plug-in from the scratch. Web development companies can even post their jobs for part-time or full-time to work remotely or in their offices. CSSChopper is a reliable name in offering the best PSD to WordPress theme conversion services. You can hire WordPress experts to obtain a fully dynamic website that is laden with impressive plug-ins and functionalities. If you are looking for the WordPress themes or searching for a WordPress expert for your project or looking for job in theme development & plug-in development, WP hire is the right place to go with. Krop is the best place to find the talented WordPress developers for your projects. The official website of Krop is visited by more than a million users in a month. It is a popular portfolio hosting site and job board that is used by the skilled candidates at all levels. PSDtoWordPressExpert is a US based company that serves all the WordPress related needs from flawless PSD to WordPress conversion to high-end customization across the globe. You can hire WordPress developer from here according to your requirements. It is renowned to provide exceptional quality WordPress services at the most competitive rates. Wordpress is the most popular content management in the world. Many freelancers are ready to work on wordpress jobs for really very low price. There are dozens of freelance websites that you can use to hire a really low cost freelancer to work for you. Most of these site are using feedback system to guarantee the quality of work and you pay the money through escrow once you are satisfied. Freelancers is another popular websites to hire freelance wordpress professionals and more. 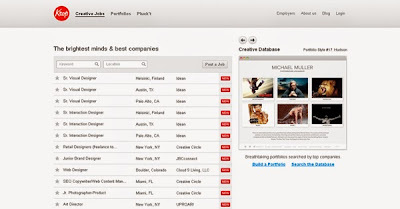 Millions of freelancers from around the world are constantly looking for jobs on this site. You can hire per project basis or on hourly rates. This site also offers a way to post a contest for your work and many people submit their entries to win the contest. This allows you to choose the best from many options. I recently posted a logo contest for $35 and received 30+ submissions on it with 10+ high quality options. The quality of work is controlled by the feedback system and escrow is used for payments. There are better chances to get a your job done in time and as per your need. oDesk is one of the largest websites to hire freelancers. A large number of wordpress experts and companies specializing in wordpress skills are available for hire here. You can hire per project basis or on hourly rates. The quality work is controlled by the feedback system so there are better chances to get a good quality work done in time. Elance is a nice alternative to Freelancer and oDesk. There are thousands of wordpress freelancers available on this site who will be ready to bid on your project and deliver it as per your need. Guru.com is one of the popular freelancer websites. It has many companies and individuals who specialize on wordpress related skills. You can post a project to get competitive bids in your budget. Fiverr is becoming a popular place for get small jobs done for just $5. This place also has a lot of wordpress related expert who can do some freelance quick fix jobs for you. You may want to use gig extras for big jobs. 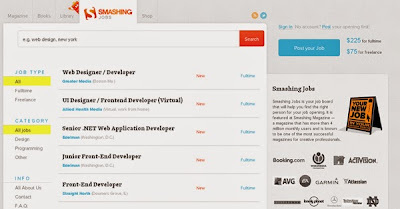 Smashing jobs is a popular job board that helps you find the right developer for your project. It is integrated with the award-winning Smashing magazine, which is one of the important magazines for innovative professionals and has over 4 million monthly users. Freelance switch is the right place, if you are looking for freelance professionals to hire for your ongoing project. It offers the services, ranging from logo designing to WordPress customization. Sensational Jobs is an ultimate platform that connects both the job seekers and the employers. Thousands of candidates daily visit this official website to view the job listings. They actively promote the site to the targeted group of talented developers in the web development company. Digital Point is one of the biggest and the most popular forums that allows you to post your adds too. These are the best and the most preferred service providers that allow you to hire WordPress expert of your choice to suit your unique requirements either on part-time, full-time or contract basis. The list which you have provided is really awesome. Thanks for adding PSDtoWordPressExpert.